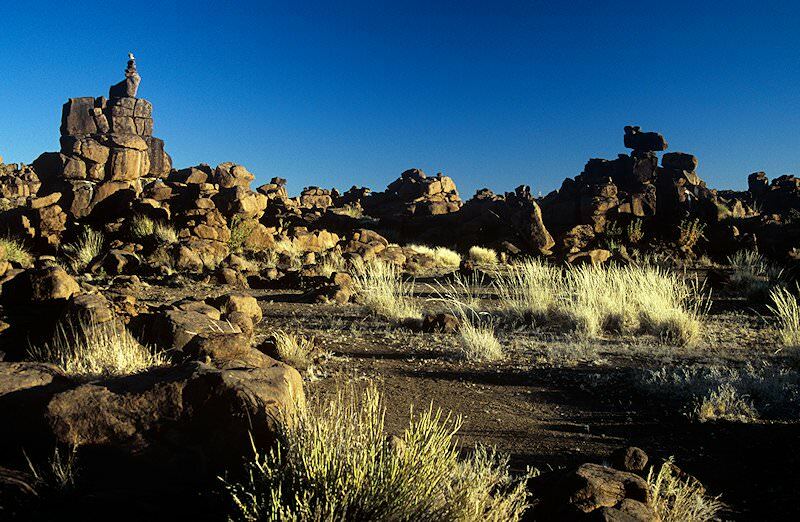 Starting from a base in Windhoek, the four star Southern Namibia Overland Safari explores the most captivating regional destinations . Guests are met and welcomed on arrival in Johannesburg by their African Sky guide. After formalities are completed the party boards a regional flight to Windhoek in Namibia. On arrival, your guide will finalize vehicle arrangements, after which the party will travel to their overnight accommodations in the city. 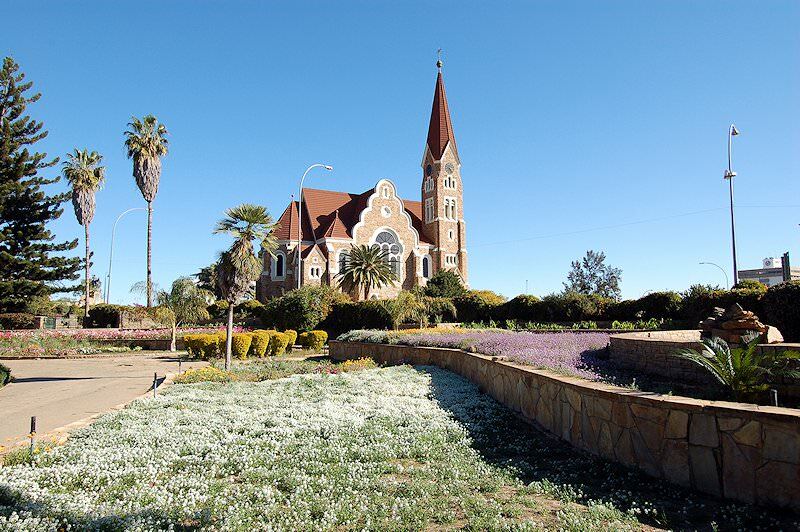 The remainder of the day is spent at leisure in Namibia’s capital city. After breakfast, the tour departs Windhoek and travels in a southerly direction en route to the Fish River Canyon, said to be Namibia’s second-most popular tourist attraction. 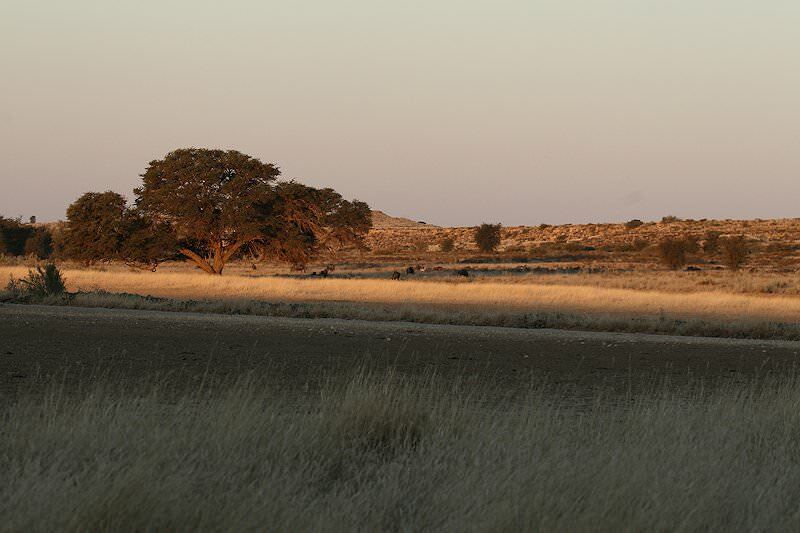 As we travel the countryside morphs from wooded grassland into dry desert scenery. 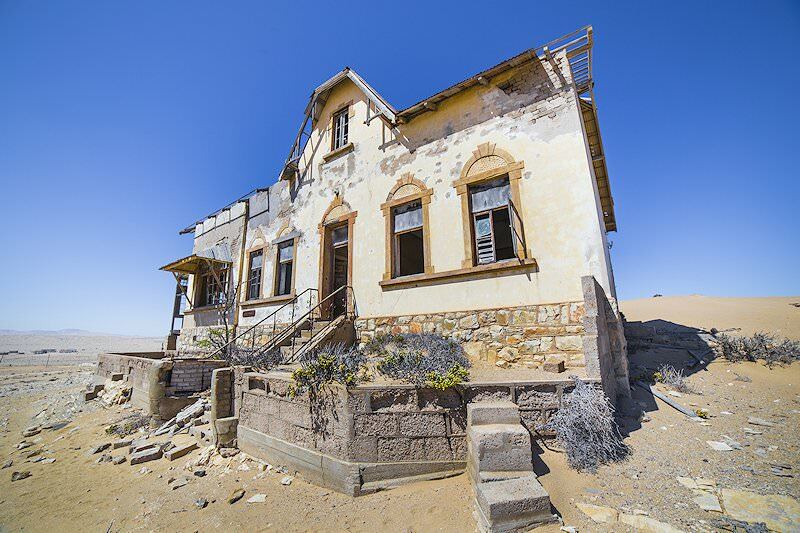 Not long after passing the rural town of Keetmanshoop, we say goodbye to paved roads and head out into the Namib Desert, finally arriving at our overnight accommodations around mid-afternoon. 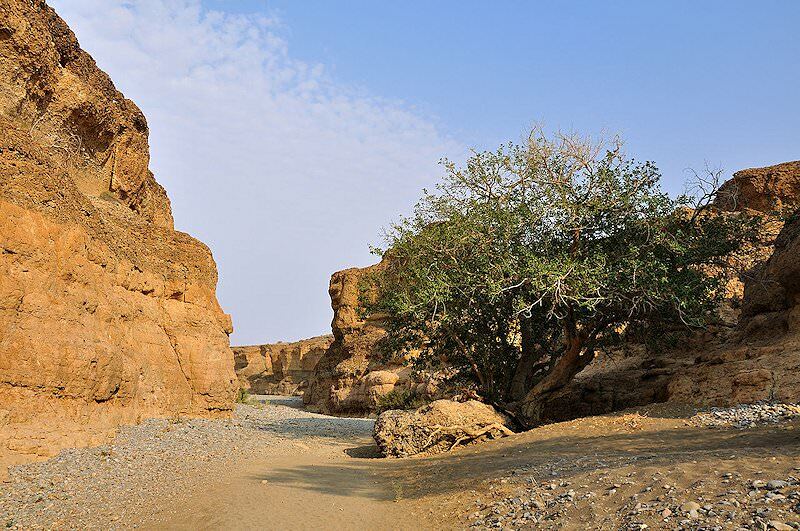 After check-in and some time allowed for relaxation, we travel to the nearby Fish River Canyon near Hobas. 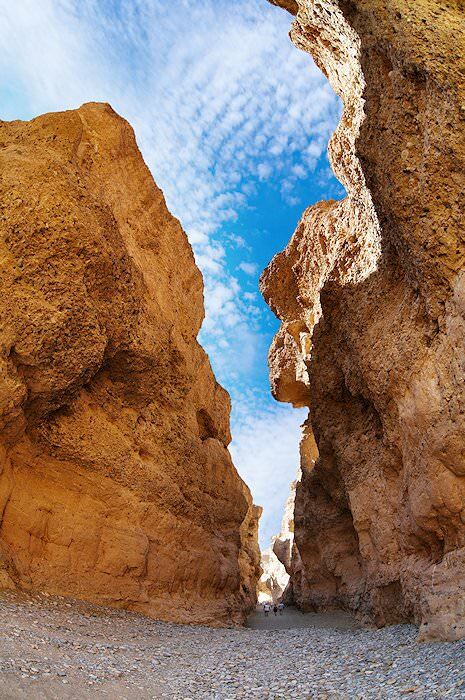 The canyon is the second largest in the world and the largest in Africa and was formed over millions of years as a result of ongoing geographical processes. Once a moist well-wooded landscape, the canyon today is a barren, stony and sparsely vegetated environment covered with hardy drought-resistant plants. Sunsets from the Hobas viewpoints are spectacular as the sun sets due west over the canyon, lighting up the stony canyon walls with myriad golden orange and red hues as the sun descends into the horizon. After a late breakfast, a quick stop - if required - is made again at the Fish River Canyon, before traveling north to the national B4 road. 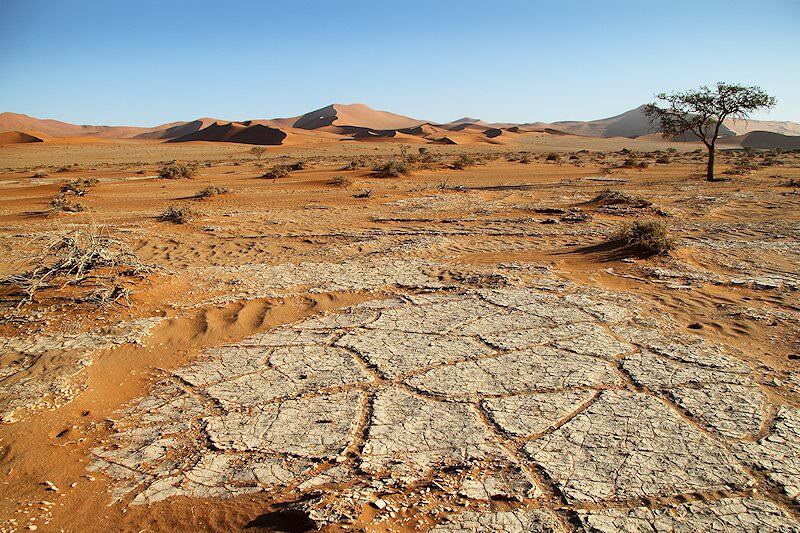 Once we reach this paved road, we turn due west towards the Namib-Naukluft Park and the Sperregebiet - the restricted diamond area, alongside which your overnight accommodations are conveniently located. After some time relaxing in this surreal environment guests will enjoy a guided sunset drive into the desert near the lodge, where both the famous desert wild horses and the unique desert ecology may be seen at close quarters. 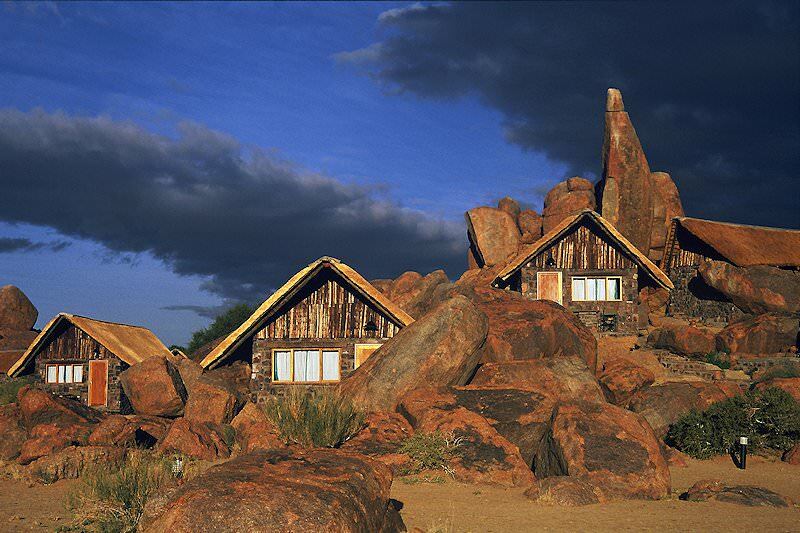 Later a scrumptious dinner is enjoyed at the lodge as you witness yet another spectacular sunset over the Namib Desert. 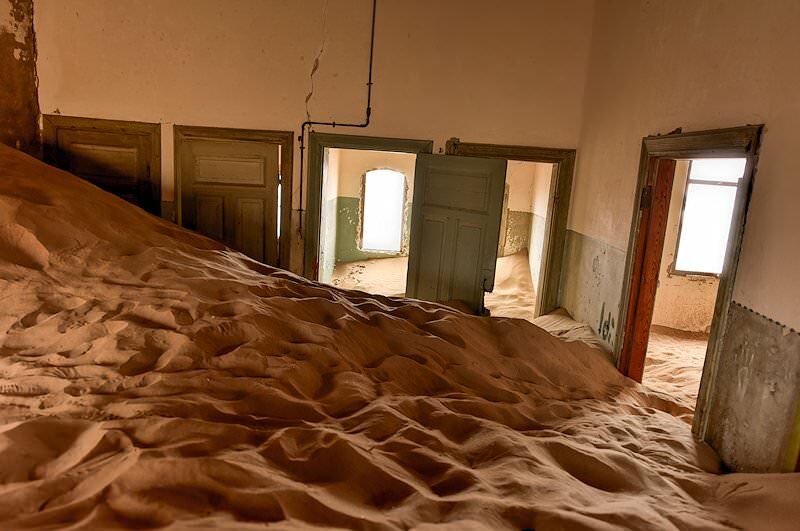 The ‘ghost town’ of Kolmanskop is located about ten kilometers from the coast amongst a sea of rock and dune and was once a thriving mining settlement with opulent luxuries found in every prominent household, all imported at great expense from Europe. 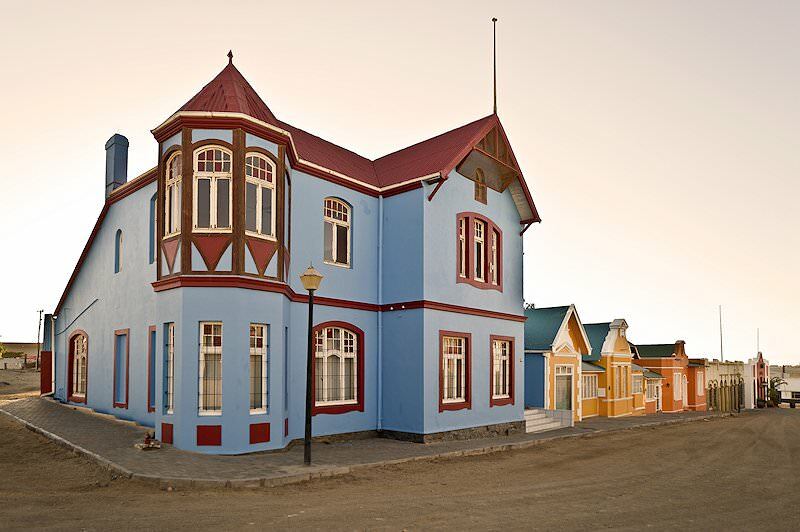 It was near this settlement in 1908 that a laborer found the first diamond, which led to the realization that the area was rich in these precious stones. The German government quickly declared the area a prohibited area or ‘sperregebiet’ and immediately began to exploit its mineral wealth. 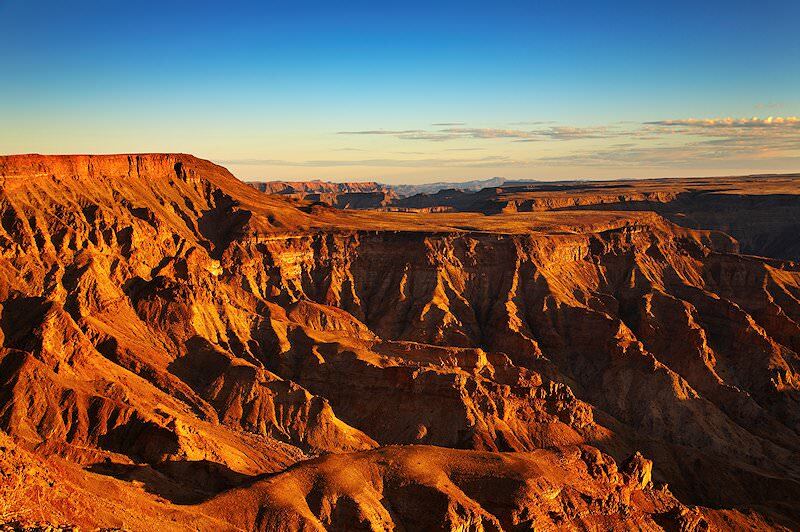 Today the area is approximately 10,400 square miles in extent and occupies three percent of Namibia’s land mass. 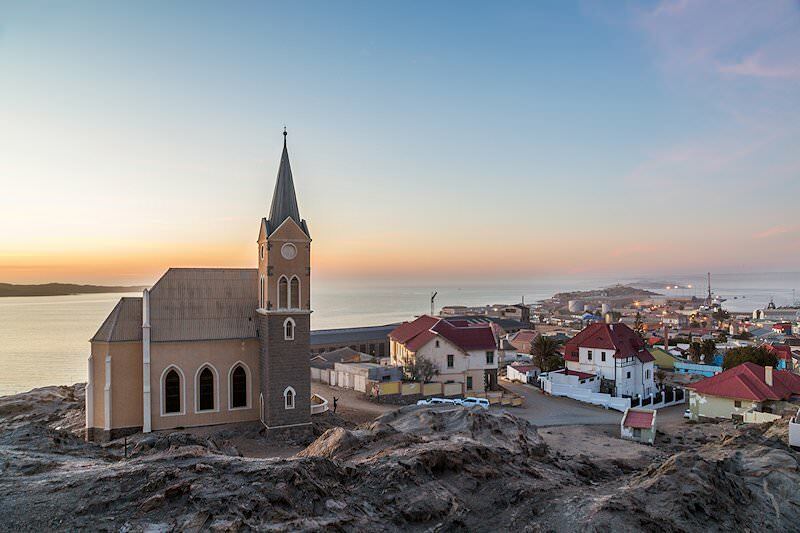 After enjoying a guided tour of Kolmanskop we travel to nearby Luderitz on the coast where, after enjoying lunch, some time is spent exploring this small seaside village by vehicle. The tour then returns to your overnight accommodations in the late afternoon. From the tiny village of Aus the tour heads north. 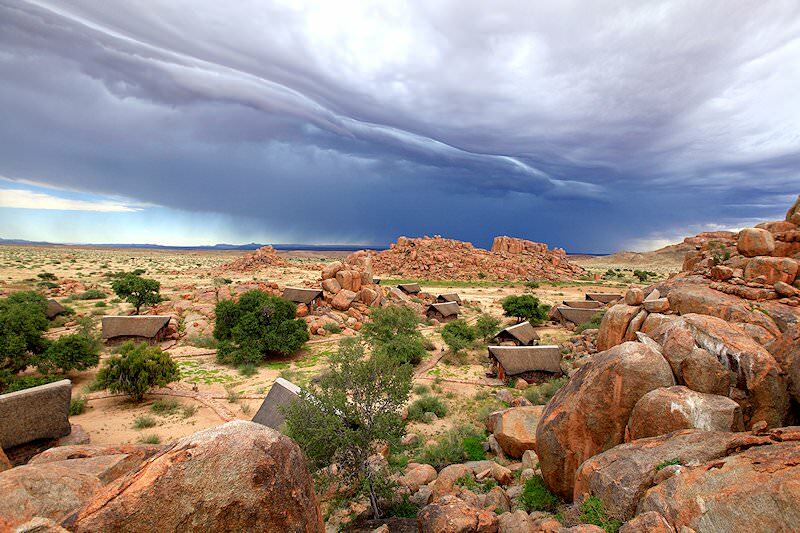 The Namib-Naukluft Park to the west provides spectacular backdrops, with rocky outcrops, beautiful desertscape scenery, and wide open plains. Several stops are made en route. As we approach Sossusvlei the famous red dunes of the Namib - the world’s oldest desert - become visible in the distance. 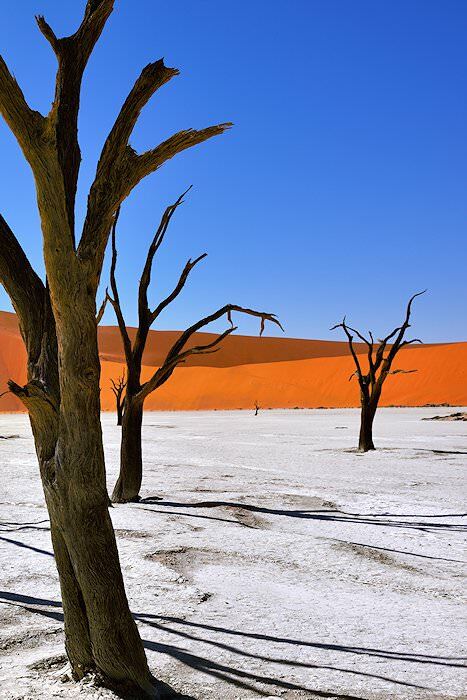 Sossusvlei is essentially a mud pan created by the Tsauchab River, which flows through the Namib only once every five to ten years. Even in very wet years the river does not reach the Atlantic Ocean but drains away into the Sossusvlei dunes. ‘Sossus' means ‘place of no return’. 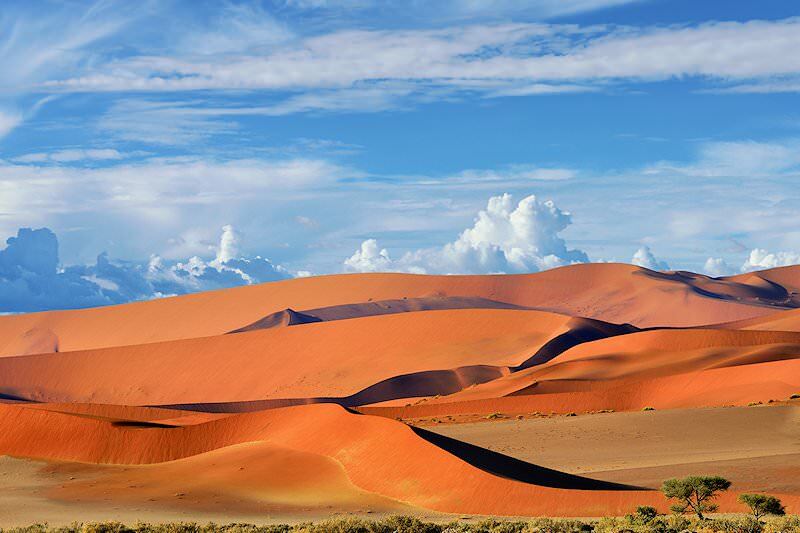 The Namib - known as ‘the living desert’ - is a world of vast space, endless horizons, dramatic desert landscapes, and jagged mountain heights. 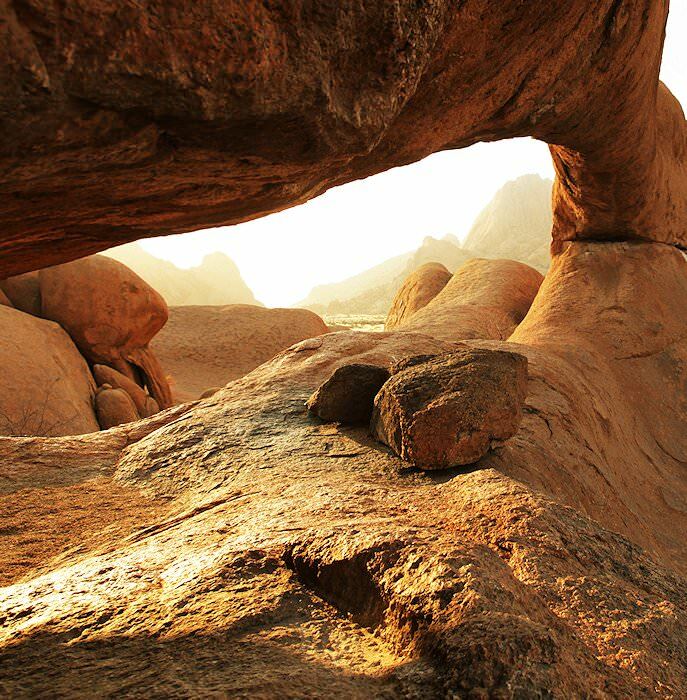 Over the next few days, guests will enjoy various guided excursions into the desert in the surrounding area. A morning desert experience is followed by breakfast, after which guests are transferred to the local airstrip for a flight to Windhoek. From Windhoek Airport, guests board a flight to Johannesburg, bringing to an end an in-depth overland safari in southern Namibia. South Africa's wild diversity has earned it the nickname 'the world in one country'. Botswana's sought-after safari areas are bewitchingly wild and pristine. 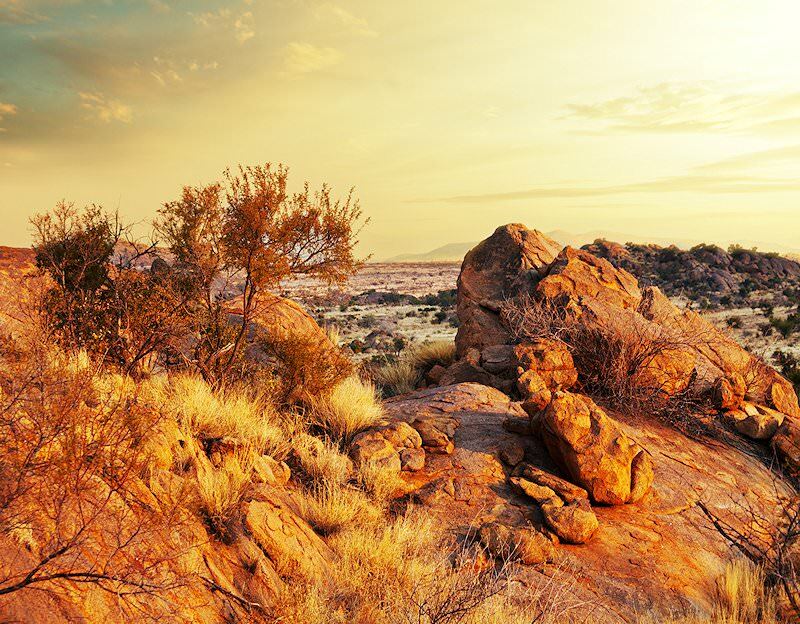 Namibia is an immense desert country that supports a surprising amount of wildlife. Travel to Zambia for a truly authentic African safari experience. Zimbabwe's wilderness areas are wonderfully low in traffic, offering rewarding safaris. Mozambique's 1000km Indian Ocean coastline boasts stunning stretches of coral. The Kruger National Park is South Africa's supreme safari destination, appealing to all tastes, interests and budgets. 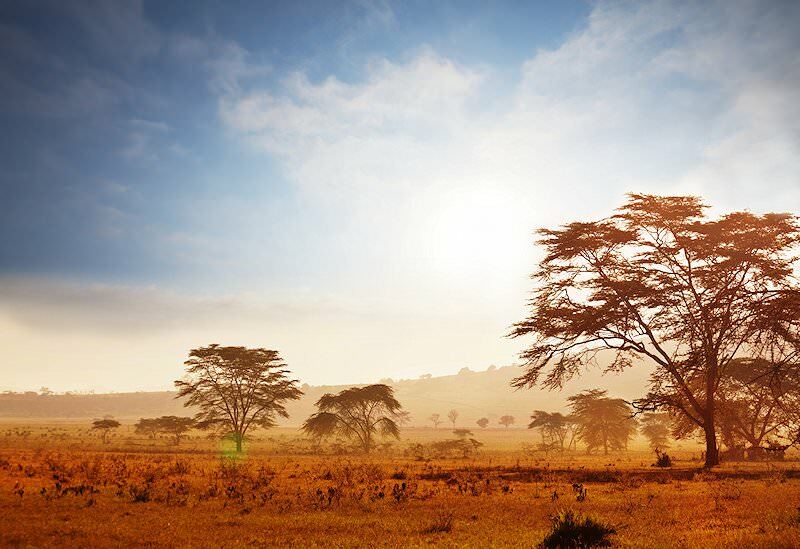 A luxury African safari is one of the most rewarding and memorable luxury travel experiences available today. The Big Five are most prevalent in wilderness areas like the Kruger National Park, Addo Elephant National Park and Hluhluwe-iMfolozi. 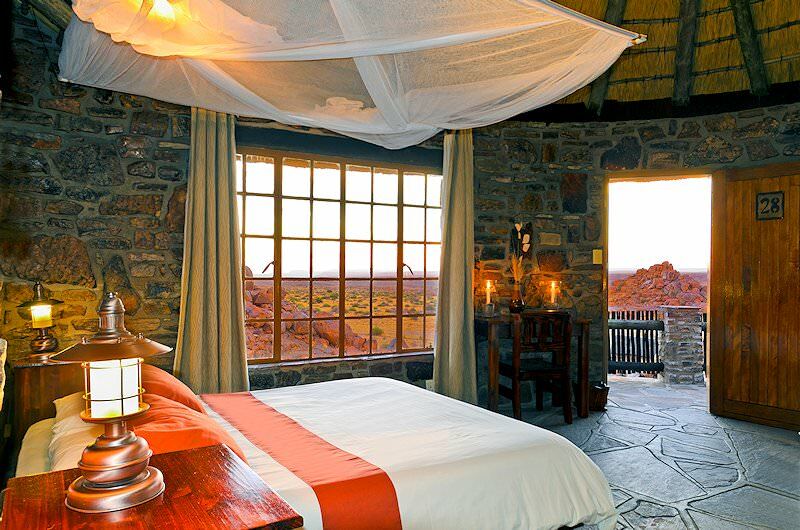 The African lodges we use range from basic but comfortable camps to opulent safari lodges with every creature comfort.